Dungeon of Signs: Map design thoughts. I read someone suggest – very interestingly and compellingly – that making architectural considerations about dungeon rooms (load bearing pillars and use vs. size come to mind) makes them feel more real, and can help make the dungeon easier to stock/describe. I like this idea and think it’s part of the consideration above. Does the orc shaman really need a 80’ x 80’ square room and one apparently made of some sort of advanced reinforced concrete as well as it’s squared and somehow supporting that expanse. Another good question (one I fail to answer well a lot) is “Is mapping itself a game here”. Mapping takes time, and is tricky from odd verbal descriptions of a hurried, dyslexic GM who may or may not be drinking Scotch and is certainly trying to figure out what the bugbears in the next room think of the party’s petty bickering. 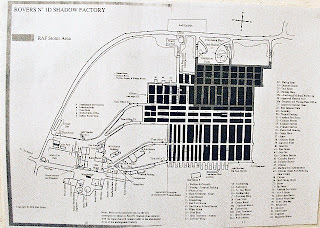 In traditional games, mapping was supposedly a huge challenge, and with online games it is as well. The use of mapping systems for Google+ games or even drawing out things on whiteboards is very common now, and removes much of the tricky mapping 'game', and with it the challenge associated with funny shaped rooms. 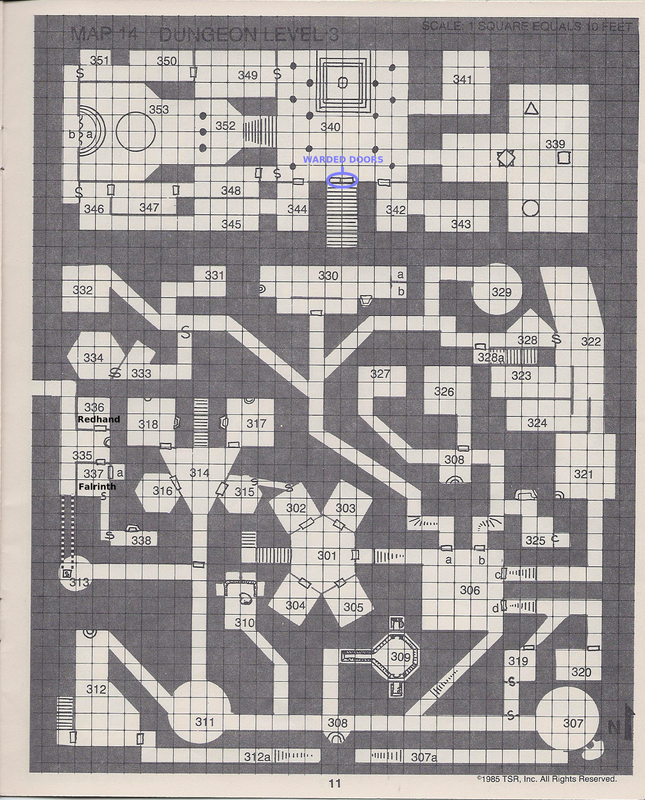 The idea of finding likely secret door spots is still there, with the GM drawing maps, but it's not quite the same when there is a correct map by the GM, as opposed to a player drawn map of dubious value. I suspect this change is mostly a time saver. Online rpg playing in particular is usually broken up into shorter sessions. Two hours or so on average, and with this kind of time constraint there is an interest in getting to some sort of content with each game. The classic 3 to 1 ratio of empty to interactive rooms is too high to support a short session - I think 1 to 1 with every room having something of interest (decoration, furniture or even refuse) is better for short sessions. Though it might seem wrong I am going to look to that Shibboleth of table-top role playing, World of Warcraft, for examples of the idea that overly complex maps with too much empty space and more spread out interaction with the game world are perhaps less exciting for the players, especially in short games. For folks that have never played World of Warcraft - it's an online RPG, attempting to give the feel of a table top game on a computer. Of course there are a lot of differences, but one thing that both table top and computer games share is maps - maps of dungeons. I will also say that WOW has the budget and the art talent to produce lovely maps. What's key for my comment here, is that since dungeon maps reset every time the player exits them, all dungeons are "one session" dungeons, and the preferred length of a session, and pacing within that session has obviously been an item of great interest to the World of Warcraft designers. Form my understanding, when World of Warcraft first went live they were modelling game play as closely as possible on a D&D style game, exploration, fighting gangs of monsters and such on fairly large maps. 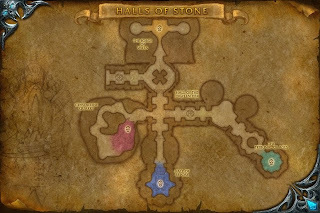 Never as confusing as a classic era mega dungeon map, the maps in WOW still had a great deal of complexity and empty rooms, in the form of packs of mundane monsters one had to fight between bosses that weren't good for anything except to delay the players. Old WOW map - 20-25 keyable areas. sort of play in World of Warcraft comes from fighting bosses, which use complex routines to attack and such. I still note that these maps, like that of 'Uldaman' to the left, are fairly linear by OSR tabletop standards, but I suspect this is partially because they have a lot of change in the 3rd dimension due to the nature of the game's medium, and can feel confusing and disorienting when played. 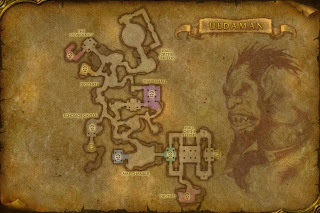 These maps were apparently unpopular, because by the time WOW was a few years old maps are much simpler. An area similar in theme to the above map, is "The Halls of Stone" put out a few years later, after the map designers and programmers (the GMs one supposes) had a chance to listen to their millions of players complain about the complexity and amount of time it took to finish maps like the one above. 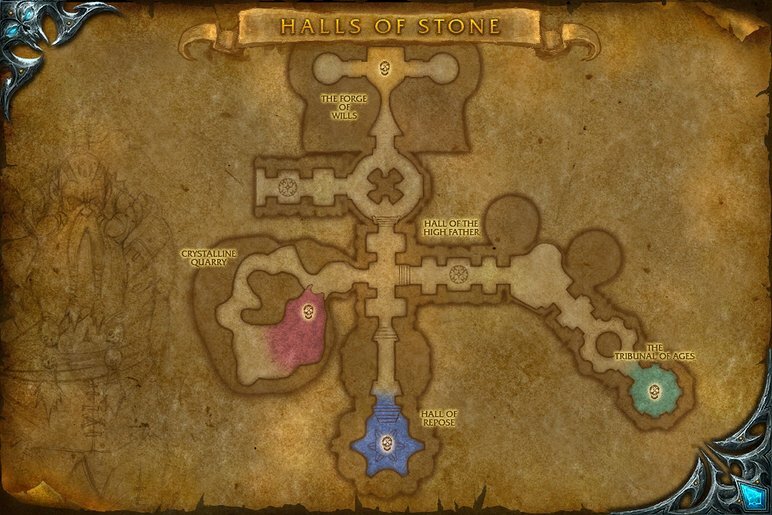 So the new map "Halls of Stone" has fewer puzzle/boss/set encounters and a very simple design. confusion and battling for a couple hours against random monsters is not a problem in "Halls of Stone". Players, once they know the dungeon (which they will), can quickly target which boss they wish to fight, and even avoid one or two if they have less time. While this isn't the same in a tabletop game, and shouldn't be, the awful dull part of online RPGs is a complete lack of discovery that turns every dungeon into a repetitive test of button mashing and memory in search of a percentage based loot drop. Still the maps themselves, are pretty good - even the linear ones. If a D&D party were entering "Halls of Stone" they'd have an initial area with a few enemies, maybe a trap and a clue or two and them meet a three way split corridor or a strange door. One corridor leads to a crystal cave system of three or so rooms, a second to a forge area, another to a complex puzzle/trap and the last to a temple and big monster fight. Of course looking at this map I see only 6 - 15 keyable areas - a small dungeon, maybe small enough for only a few hours of play. 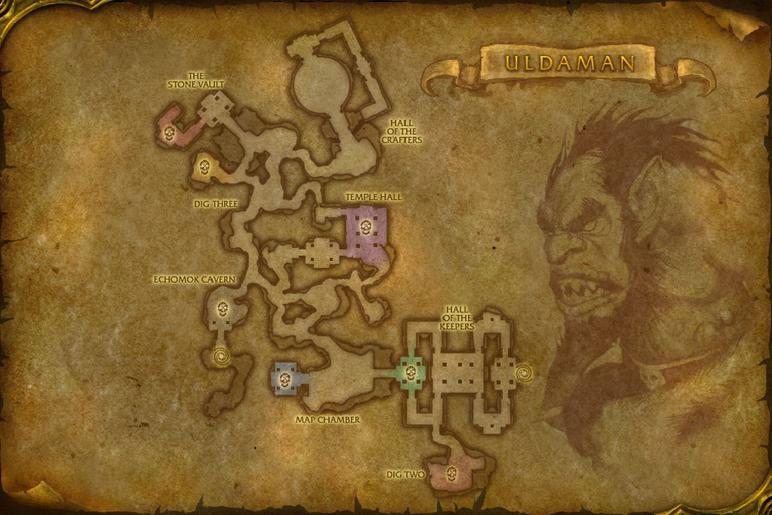 It's also worth noting that while the map of Uldaman is for a dungeon alone in an area of wilderness, Halls of Stone has an equally simple companion dungeon with several more boss monsters within spitting distance. This is I believe purely a technique to cut these dungeons into a size playable in an hour or so. For a table top game, I don't think there is anything wrong with emulating these time smaller, module dungeons. Yes the game of wandering monsters chiseling down PC resources can suffer - but there is wilderness travel and frankly, when the party changes between session, it is often hard to enforce an attrition of resources from session to session. Wow, there are many insightful thoughts here. There's an old article from the early days of Dragon Magazine called "Let There Be A Method to Your Madness" that explores a rational approach for building a dungeon - and then spends a lot of time showing how the dust of ages and march of time will obfuscate the original intentions and generate mystery. I don't recall it being a popular approach in the OSR spheres. However, when we twist the perspective the way you suggest - that rational dungeons permit player decisions and planning by letting them extrapolate on known information - the whole thing becomes a lot more defensible. I tend to struggle with loony, funhouse designs anyway. The evolution of WOW mapping is super interesting. I'm no MMO player, but recently got roped into Skyrim by the rest of the family, and immediately noticed how simple maps still feel interesting when you are navigating the space in real time (and not actually, you know, staring top down at a piece of graph paper). We have our trapped ourselves in our own aesthetic. I'm a big believer in supporting episodic gaming with a changeable crew, but I don't feel like we need to change our megadungeon approaches - players don't need completion to turn back when time is short and reset for next week. The benefits of better week-to-week gaming by letting the group leave frequently outweight the resource management sub-games that enter the picture with dungeon camping. 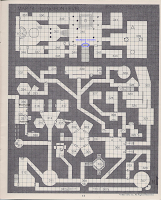 But I could see a modular design approach where the 100-room sprawling dungeon level is replaced by 6-10 mini structures with 10-15 rooms each - particularly if the dungeon concept had the head space for many different themes and sub themes that warrant separation. I didn't play much WOW before I realized I missed D&D, but it certainly is a titan in the roleplaing world and I suspect a lot of smart folks get paid quite well to design its dungeons. Agreed on the confusing nature of simple computer game dungeons, but I don't think one can easily convert them to table top. Too complex to describe. I find even using idd shaped rooms is challenging. The thing about dungeon realism that I wanted to showis that it's also artfice. 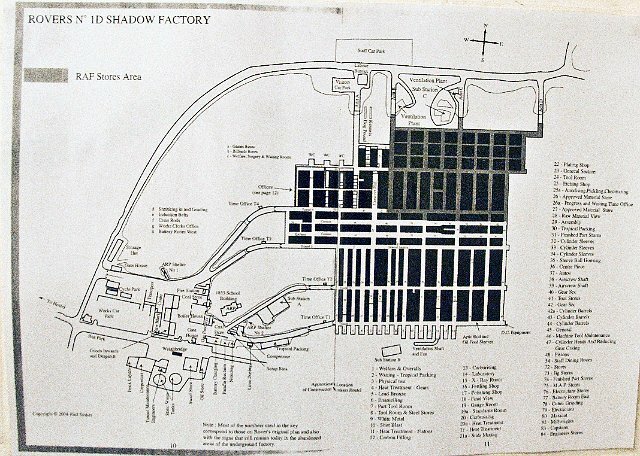 The wwii buried factory would be awful to explore in d&d - as would any real cave system. The key for me is finding a nice compromise that feels 'real enough'. Dungeon size and session length is tricky, Running ASE it was hard to really get much done in two hours - long corridors and empty rooms make players drift off. Apollyon is more modular, with named areas that cover a few maps but aren't really continous with the rest. So far the size of it all has prevented players from connecting all the maps. Open table; funhouse dungeons and largely empty rooms are all old school appraoches that I don't care for in the least. Further, I tend to know what every room I am drawing was used for, or I figure it out as I am creating the dungeon. I follow a very similar design philosophe to yours, actually. However, drawing a map, whether it's a structure or wilderness, is an exercise in exploration for me. I don't know what is there until I'm done, and I often discover a thing or ten in the process. I made a mini-mega-dungeon (hmm, surely that's just a normal dungeon!) that was mapped and designed to be a drop-in/drop-out dungeon, with a limited opening time (my Lottery Dungeon), which was good for single session runs. One thing I've enjoyed doing is using just the very basics of usage in Google Sketchup to think more in 3D. Just from an overall design sense. I think a lot of old school map creation is too This Level, then This Level, then This Level'ish. Not surprisingly, 3d pc games of late, such as Torchlight, Diablo III, Gods Of War 3, several others have actually taught me that thinking in 3 dimensions , and extreme scales can be rewarding as GM and player alike. NOW, how to represent and more importantly, PRESENT such dungeon designs to G+ players ... I'm still trying to find a method to "reveal" in 3d. I've love to be able to have a Sketchup app within G+ that would allow for "REVEAL" by fog of war. Anyhow, I digress. Great article.